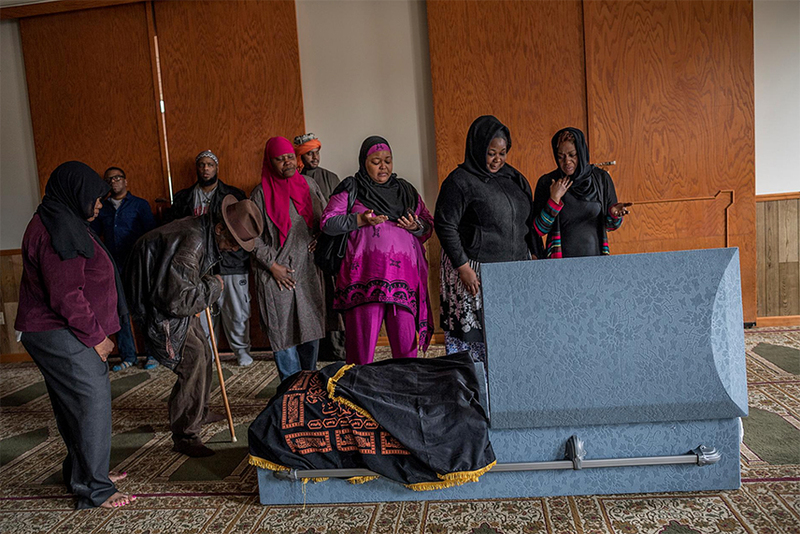 Relatives and friends of Jamil Ibn Rafael, who lived in Detroit, pay their respects at a mosque in Dearborn, Michigan, before his burial. Indigent and 66, he died of unknown causes. He converted to Islam when he was in his 20s. For his sisters (one at left, two at far right), who are Christian, it was their first time in a mosque.